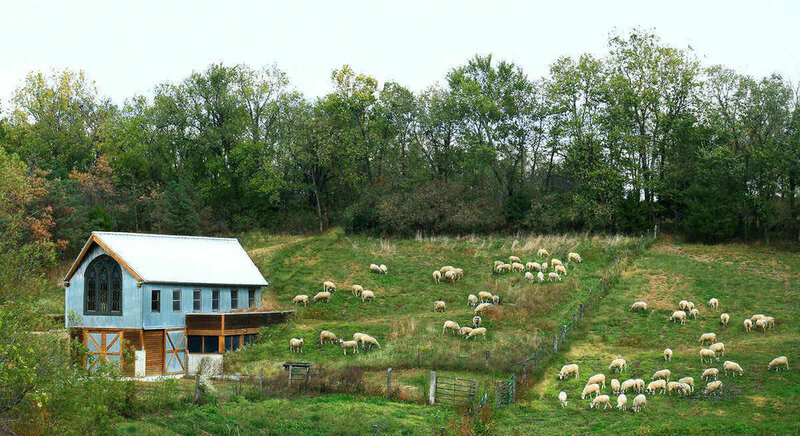 Sarah Hoffmann had a dream, like many of us, to get away from it all, move to rural countryside, and live off the land by starting a farm. For most of us, fantasizing about the farm life is as far as we go because, really, we want to be able to order sushi delivery from our iPhones and go on vacations. Luckily for us cheese lovers, Sarah actually followed through on her goal and founded Green Dirt Farm in 2002 when she and her family moved to Weston, Missouri. After they bought the farm, they realized the soil was not ideal for food production, but instead of giving up on her dream, she merely changed it. While they couldn’t grow vegetables, they could grow sheep! Sarah and crew got the creamery going and sold their first cheese commercially in 2008. Although Green Dirt Farm turns out some killer cheeses, and they have the awards to prove it, making good cheese is not the only important thing to Sarah. She cares deeply about the welfare of her sheep and of the animals on the neighboring dairies where she buys milk. Also, on her list of priorities, is the environmental sustainability of her farm and cheesemaking facilities. What a lady! Not only is she fulfilling her dream, but she’s looking after the world in the process. Sarah Hoffmann for President 2020, perhaps? Currently, I’m having a bit of a love affair with Green Dirt Farm’s Winter Woolly. Since sheep are seasonal milkers, they produce little milk during the winter. To make up for this lower yield, this small, snowy white soft cheese is made with a mix of sheep’s milk and cow’s milk. Winter Woolly is creamy and, despite being named for the greyest season, it has a sweet, fresh green grassiness that makes me think of spring. Since this is a milder cheese, it definitely benefits from being eaten at room temperature, so the flavors have time to develop. The rind on Winter Woolly also adds to the fresh flavor and it is as tasty as it is beautiful – be sure not to skip it!